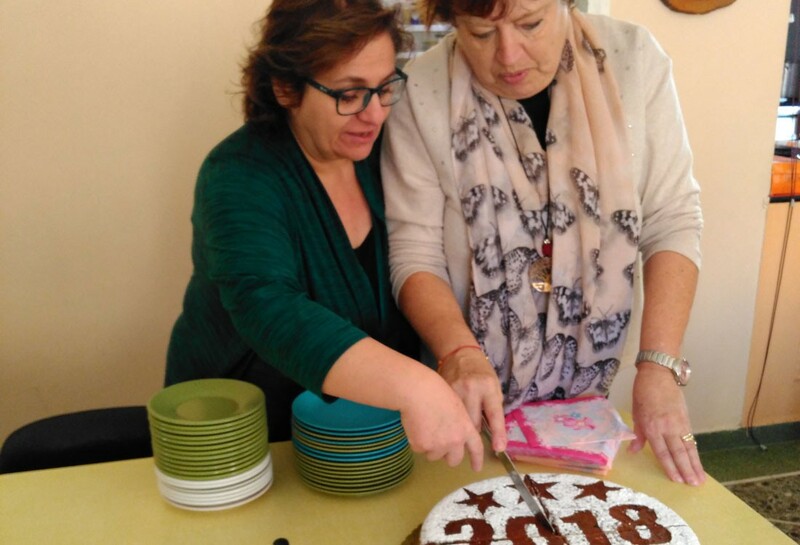 On the Third Wednesday of January our Community Connect Northern Suburbs met to celebrate the New Year by the cutting of the Traditional Vassilopitta, New Year’s Cake. Tradition has it that a coin is hidden inside the cake when it is baked, and whoever finds the coin in their slice when it is cut, is considered to have good luck for the coming year. Community Connect Northern Suburbs, based in Kifissia, has been going for over six years and was the idea of our Deacon Chris Saccali. She recognised that there was need for friends in the Northern Suburbs to be able to meet up occasionally and share news over a cup of coffee, preferably somewhere central. Inspired by the Community Connect in Athens she found a venue where they could meet once a month and over the years numbers grew. Now, in addition to having a coffee and chat, there is a knitters corner where the ladies knit clothes and blankets for the refugee children in camps and hostels all over Greece and the Islands. Second hand books are also always on sale and good as new clothing where you can pick up a bargain. 18 months ago disaster struck when the taverna where we had always met previously reluctantly informed us that they would no longer be able to accommodate us. Many prayers were said and an appeal went out. Prayers were answered in the form of Mr Alexis Karelis, the President of Loida Scripture Home for the Elderly which is one of the charities that the Anglican Church in Athens supports. (In Greece, there is a desperate need of care homes for Senior Citizens.) 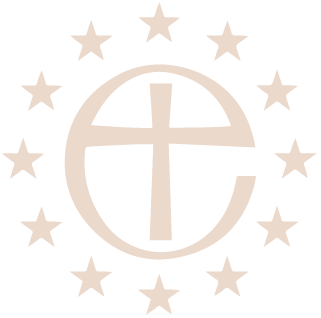 ‘Loida’, run by the Hellenic Scripture Union, has been open for 30 years. It is found at 48, Ionias Street, in Kifissia, and cares for about 70 residents. They offered us the use of their dining room where we could make and serve coffee and cakes, and another room where we could sell the books and clothes. We are grateful to Loida for our new venue and they in turn greatly appreciate the donation we make to them each month from the proceeds. At the present time Loida, like many other charitable institutions, is undergoing a severe financial shortfall, due mostly to the imposition of VAT which adds an extra 24% to all their costs. Since they are a Scriptural home and charitable organisation, many of the residents live there for free or give only what little they can afford for the board and lodging. This situation, together with the worsening financial crisis in Greece and the imposition of yet more taxes, makes our support even more crucial. Up to now our prayers have been answered and even though people come and go there have always been those willing to help. Now however, we are facing a shortage of helpers and are looking for anyone who would be prepared to give a few hours once a month to help set-up and clear away, and to make cakes. If you think you could do this we ask that you contact our Deacon, Chris Saccali as soon as possible. The Anglican Church wishes everyone all the best for 2018. Thanks especially to Helen Mandama who baked the magnificent Vassilopitta. Και του χρόνου.